Oaxaca has been preparing for valentines day ever since we arrived. We are becoming increasingly aware that it is going to be a big night in town. Several of the streets are closed to traffic, and by 6pm the streets and squares are packed. 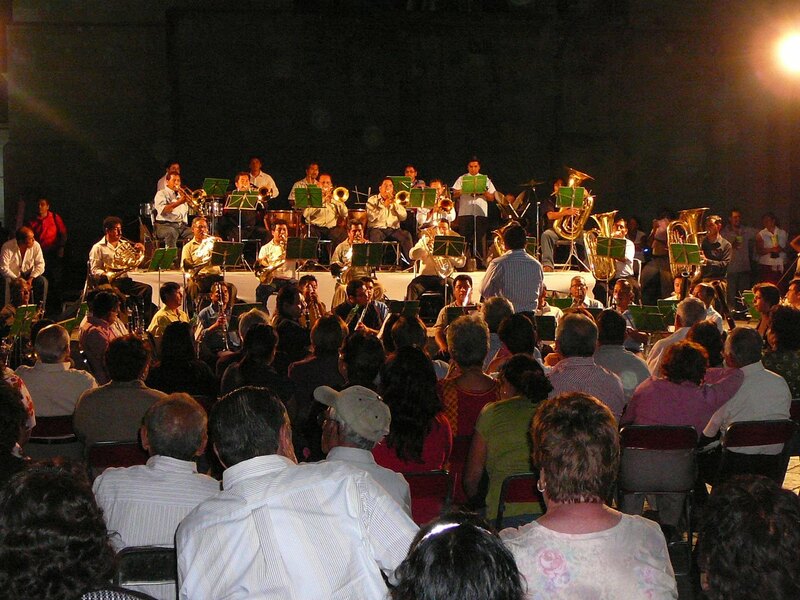 It is billed as “Noche De Luces” (night of lights) and it would appear this is a regular event to celebrate friendship which takes place on a different holiday throughout the year. This time it’s St Valentine’s turn. The two main squares have bands playing from 8 pm until 1pm. They change every 30 minutes or so and range from full piece orchestras to trios. The quality of all the groups is amazing,. This is nothing like Merida! There are two different processions . The first lead by a group of musicians dressed in early Spanish costumes playing mandolins. They stop at every crossroad and play a piece, bringing traffic and foot traffic to a complete stop. It is bedlam, but no one seems to mind. 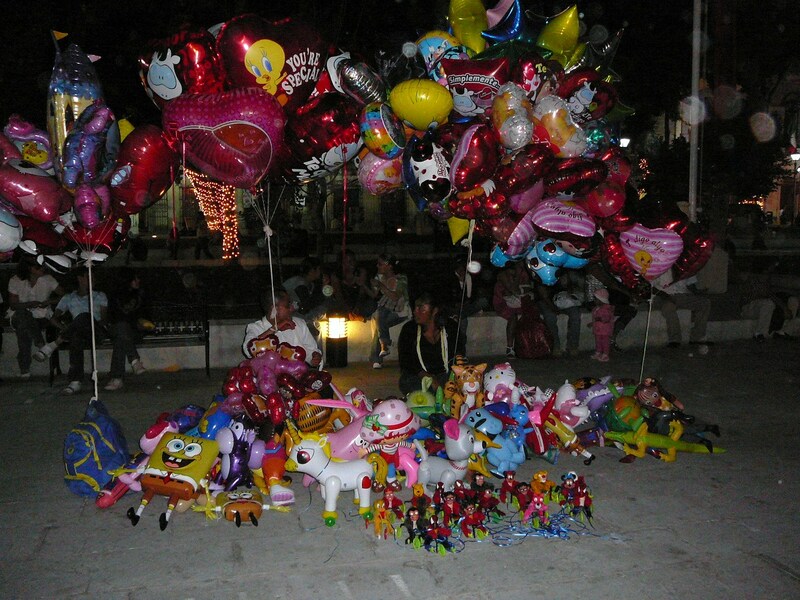 There are vendors everywhere carrying enormous bunches of helium balloons most with a valentine theme. Each vendor must have at least a hundred balloons floating above them and it is hard to believe that they will not become airborne. The air is alive with the sounds of people having a good time. Courting couples are everywhere as are families with young children. In fact the good times are not limited to any particular group. The entire city is out having fun. We try to think of an occasion in the States that might be like this but quickly become aware that if there was such a night, no one would feel safe. This entry was posted in noche de luces, oaxaca, valentine's day. Bookmark the permalink.